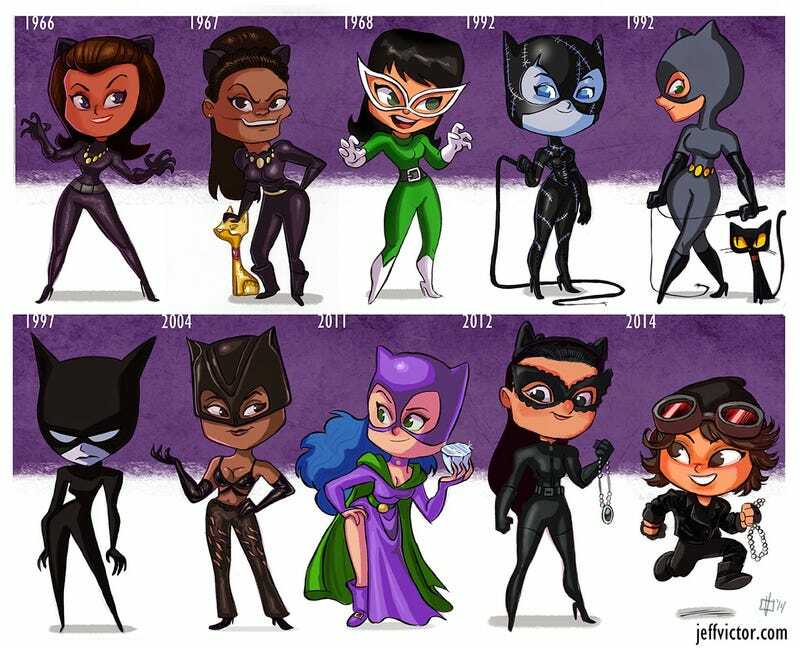 Artist Jeff Victor has compiled an illustrated evolution of the favorite Batman character Catwoman. Look at all the adorable versions Selina Kyle and how she has transformed over the years. Kinda makes Halle Berry's super slashed version stand out a bit. For more adorable illustrations, head over to Jeff Victor's website.